Continuing to receive traditional IT support services is no longer an option from the increasingly tech savvy, mobile business users of today, people expect to access and use services wherever and whenever they want. 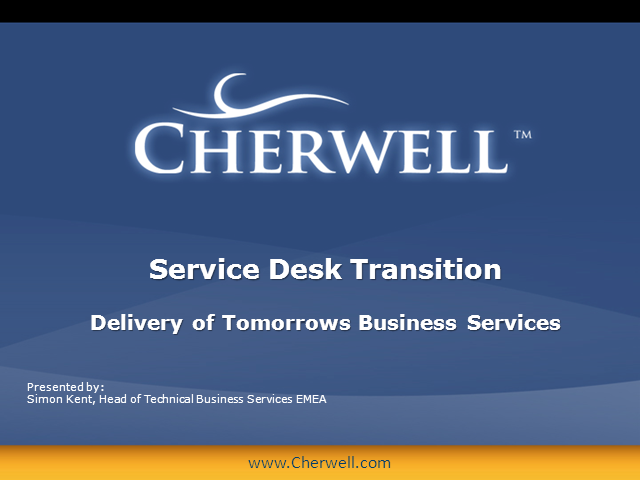 Therefore, IT and service desk professionals need to be at the forefront of offering and delivering a diverse range of new business services. Organisations, business users and customers will demand new services to improve their working lives and there will be an increased expectation for new services to be developed and delivered using agile development platforms, utilising web portals, smart devices and social media interfaces. This presentation will provide an insight into the technology and tools available today to deliver and support the new business services of tomorrow.